In Bouie's retelling, the Wayne family aren't high-profile billionaires; they're wealthy philanthropists in who work quietly in the mold of "Booker T Washington uplift ideology" to support the "segregated and disadvantaged" Black community of Gotham, and only interact with white society "when necessary." After the Waynes are murdered during a robbery in the segregated, Black neighborhoods of Gotham, the police "...shrug." They arrive late, and then assume that Alfred (who is white) was the victim and ask if he was assaulted by the dying, shot couple on the sidewalk, while 11 year old Bruce looks on. By the time they realize who the dying people are, it's too late, and the crooks have gotten away for good. 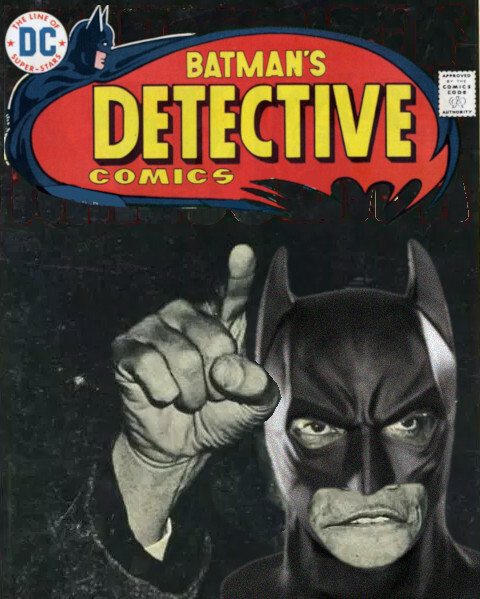 Black Bruce Wayne grows up to be a public face of anti-racist activism, and, as Batman, is the terror of both "crime and police brutality...a problem for the cops and the world of organized criminality, making himself an enemy of both." I would so read this reboot.